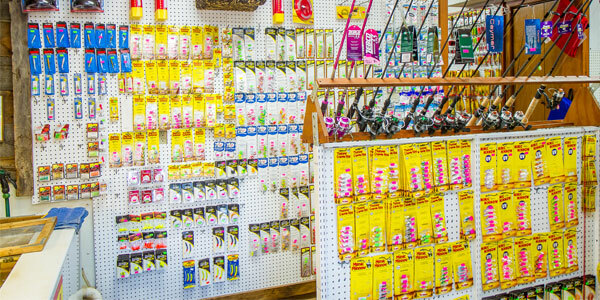 It’s an angler’s candy shop — picture floor-to-ceiling tackle in as many colors as you can imagine and wall-to-wall tanks of live bait. Though you might have fallen in love with fishing using grandpa’s tackle box, we’re taking bait and tackle - open water to ice fishing - to the next level. It’s been said that to catch a fish, you have to think like a fish. But fish don’t think, they react - to textures, colors, and materials. No matter if your goal is pike, trout, or bass, we’ll give you 10 different ways to get the bite. Between the poles we cast, trips we guide, stories we hear, and people we meet, we know what works. Oars-n-Mine is an authorized Minnesota DNR ELS Agent selling Minnesota hunting and fishing licenses. For information on license prices, season dates, or fishing and hunting regulations please click here.